I quite literally grew up in kitchens. As a child, my family lived above our father’s restaurant, where I learned to cook from my father and grandmother. I remember learning to stretch pizza dough but having to hand it off to other cooks because I wasn’t yet tall enough to reach the toppings. It was great early training for a chef, having access to all those ingredients and equipment. I used to experiment endlessly, and I think that taught me more than any of my formal training. My dad wanted me to get a degree, so I went to college for Creative Writing (actually I spent two of those years as an engineering student, but after finishing my prerequisites, I decided it wasn’t for me). But I always cooked, and it was cooking that paid the bills. After college, I spent some time in Europe and got hooked on the cuisine. The ingredients were so fresh and every dish was steeped in history and deeply tied to the land. I promised myself then, that I would live in Italy one day, and I eventually learned Italian and spent a year there, honing my skills and learning all I could. But before that I was kind of a vagabond. The Romans used to say, “a man with a sword never goes hungry”, and it’s kind of like that for cooks. If you know how to use your chef’s knife, you can make a living anywhere. I spent a few years each in Los Angeles, Boston, and Chicago before I moved to Florence, then finally put down some roots in New York City. While I was in New York, I had the good fortune of landing jobs at several Michelin Starred restaurants, including Meadowsweet and Pok Pok, as well as the James Bear Award winning ISA. 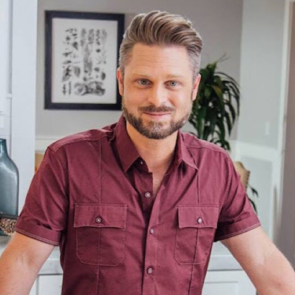 It was then that I began collaborating with my sister Autumn on her first cookbook Fixate, and it turned into such a resounding success that Beachbody wanted to make a cooking show with the two of us as co-hosts. Naturally I jumped at the chance and packed my bags for LA. It’s been a dream-come-true working with my sister on a project we’re both so passionate about. I’m really proud of what we’re producing, and it’s been both heartening and humbling to see not only the enthusiastic reception of the show, but to hear the stories of the fans who have taken the information we’re giving and run with it, changing not just their own lives and eating habits but helping others in the process.